Square Enix has confirmed that Army Corps of Hell will be heading to Europe, arriving in the console launch window early next year. The game puts players in charge of an army of goblins, with objectives of reclaiming the throne of the King of Hell. 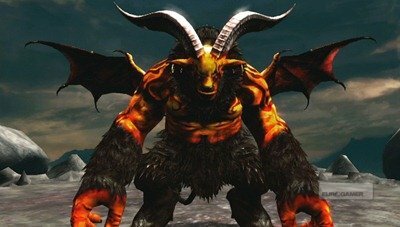 "Army Corps of Hell is an exciting new title for us, and we're thrilled to be bringing it to the PlayStation Vita exclusively," explained Square brand VP Sarah Hoeksma. "The team at Entersphere is creating a unique experience which will really stand out from the other titles coming to the PlayStation Vita in the launch window." As well as making use of Vita specific features like the rear touch-pad, the game will also support 4 player co-op via ad-hoc.